Here’s another composition that I put together using Adobe Ideas, following the same workflow in my previous post: I sketched this composition in Adobe Ideas, then leveraged Adobe Creative Cloud to continue the editing process on the desktop. Disclaimer: I am not an artist or illustrator. I primarily focus on writing software… the art stuff is just for fun. 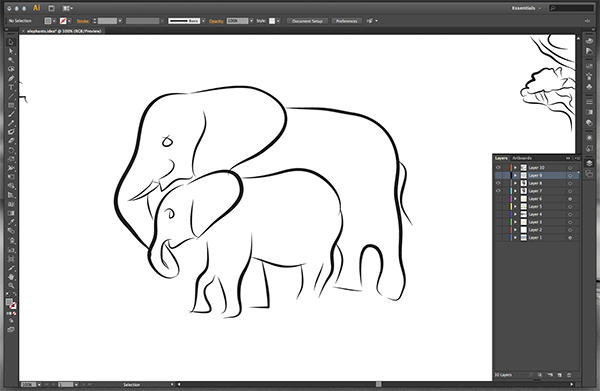 Now, I want to elaborate a bit more about the Creative Cloud workflow. 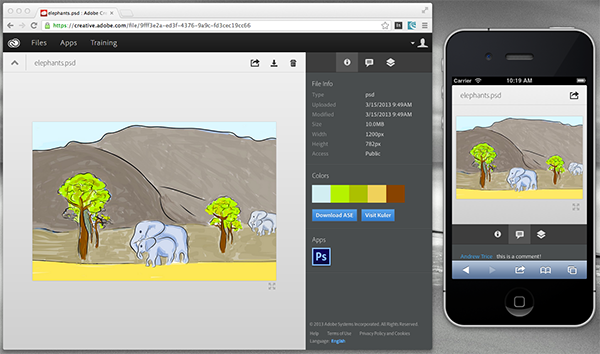 Creative Cloud is not just a subscription to all of Adobe’s creative and Edge tools. It’s also not just a “hard drive in the sky” that synchronizes your creative assets across your devices. It is both of these, and much more. I can also pull these layers into Photoshop for further enhancement. 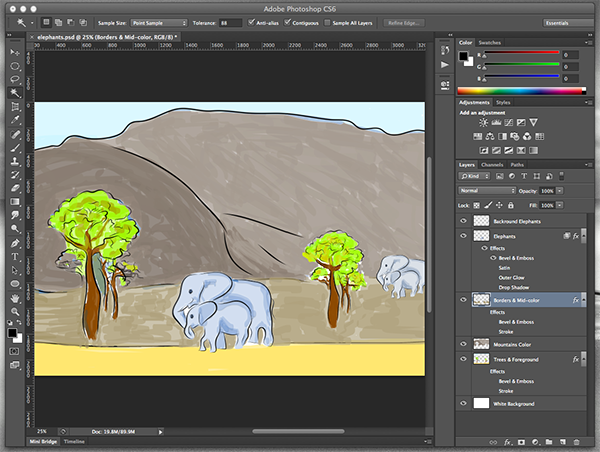 In this case, color correction, and rearranging some content (oh look, more elephants!). You can share any of your Creative Cloud assets by email or simple URLs, where that content and workflow can be consumed on any device, anywhere. Need feedback from your customers? Just send them a link to the composition work in progress, and they can leave comments whenever they want. Interested yet? You can get started with Creative Cloud here, for either individuals or enterprises. Yeah, I’m a technical person, and even I am captivated by the power of this workflow.